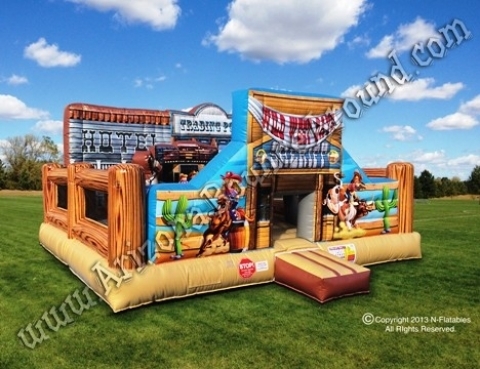 Rent a western themed inflatable bounce house for western themed parties & events in Denver, Colorado Springs, Aurora or Fort Collins, Colorado. Perfect for western themed birthday parties, western events, cowboy and cowgirl parties. Perfect for toddlers. 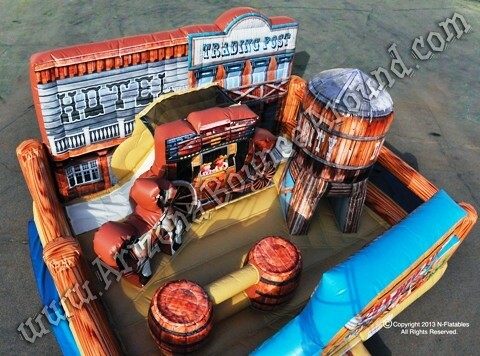 Our western town playland is a huge 19' x 19' bounce house complete with a slide, crawl thru, obstacles and beautiful artwork inside and out perfect for children 5 and under. With the spacious bounce area and plenty to do inside makes this inflatable perfect for parties and events with lots of kids. 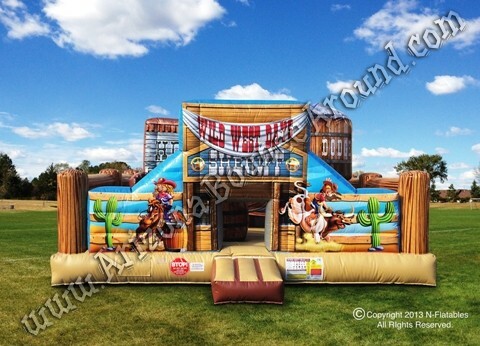 We carry a full selection of western items to go along with this western themed bounce house like a western themed obstacle course, bull horn ring toss game, pony rides, petting zoo, hay rides or western themed mechanical bull rides. 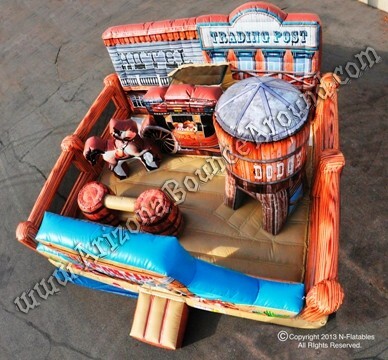 Be sure to check out our western themed shooting gallery with real air guns that shoot soft safety balls to knock out the teeth of the western characters. We also have a beautiful western themed trackless train with a very high capacity and will make your western themed party complete. 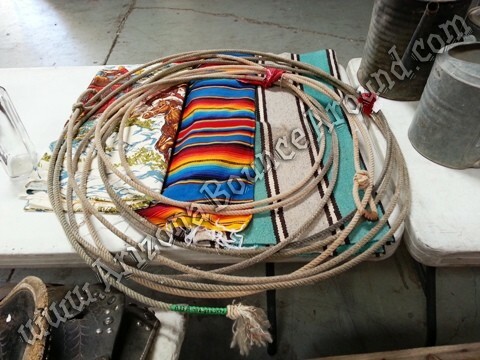 We also rent a fine collection of western props like wagon wheels, saddles, western blankets, lanterns and more.